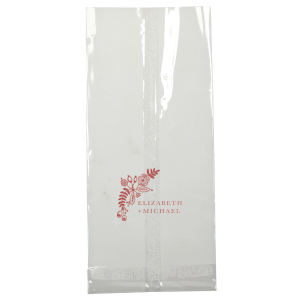 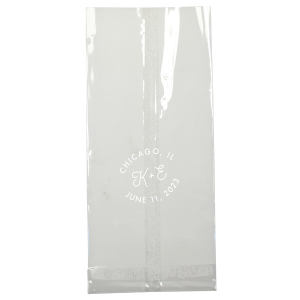 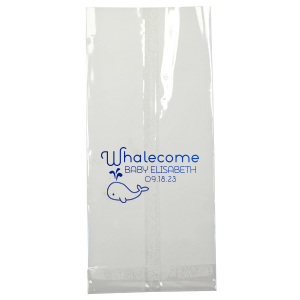 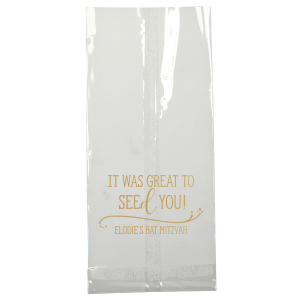 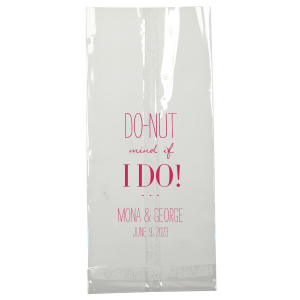 Create personalized cellophane bags for your wedding or special event here. 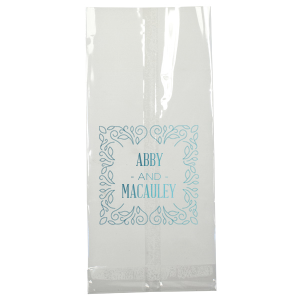 Select a design to customize above or use our simple app to design your own custom favor bag. 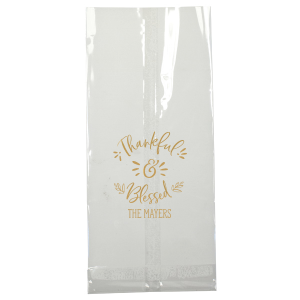 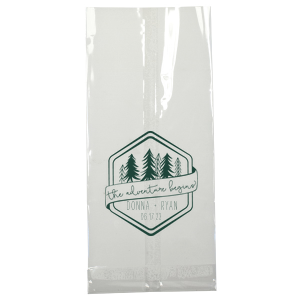 If you're looking for a different type of favor bag, browse our full selection of custom gift bags. 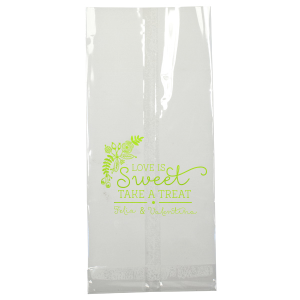 “Love is Sweet, So Take A Treat!” is just one of the many things you can have printed on these custom large cellophane treat bags. For Your Party clear plastic party bags let your guest know exactly what delicious treat you have to give them. 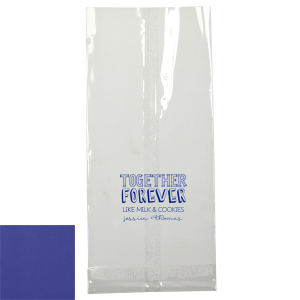 Stuff your custom large cellophane bags with candy or cookies as a tasty wedding favor. 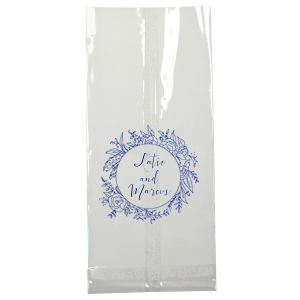 Or make the custom wedding bags a bigger part of your day by filling them with confetti, flower petals or rice for guests to throw during your wedding send off. 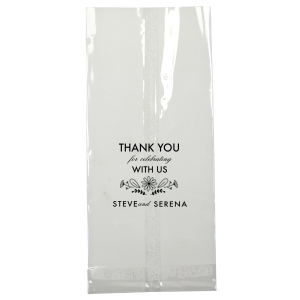 These custom favor bags can fit a multitude of treats and favors for your guests. 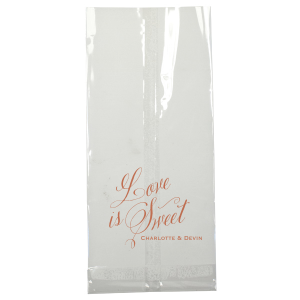 You can even use them as candy bags for your wedding candy bar. 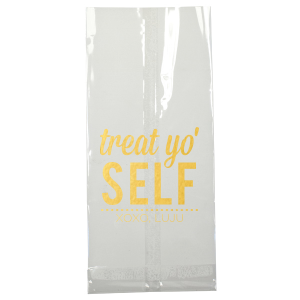 And the best part is…you can customize them! 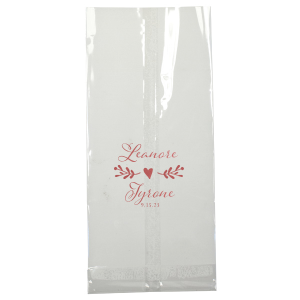 Add a special thank you note or the names of the happy couple to your large plastic wedding bags. Choose from our selection of foil colors like shiny silver, or matte purple to match any theme. Don’t know where to start? 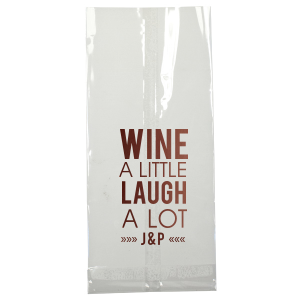 Browse our custom made designs. 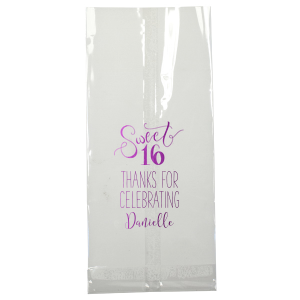 Our customizer allows your large custom cello bag to match any party, be it a bachelorette party, graduation party, or holiday party, you can create a design your guest will love almost as much as the treat inside.